Getting our eyebrows perfect every morning is not an easy task. Applying just the right amount of plucking, colour and shaping, not to mention getting them as symmetrical as possible, takes time that most of us simply don’t have. Thankfully, technology has come to the rescue, in the form of permanent eyebrows. Permanent eyebrow tattoos are not as severe as you might think. 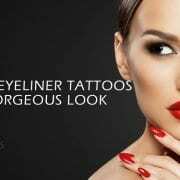 Unlike traditional tattoos, this treatment uses microblading technology to create hyper realistic individual hair strokes, creating a flattering, polished finish that is extremely natural looking. 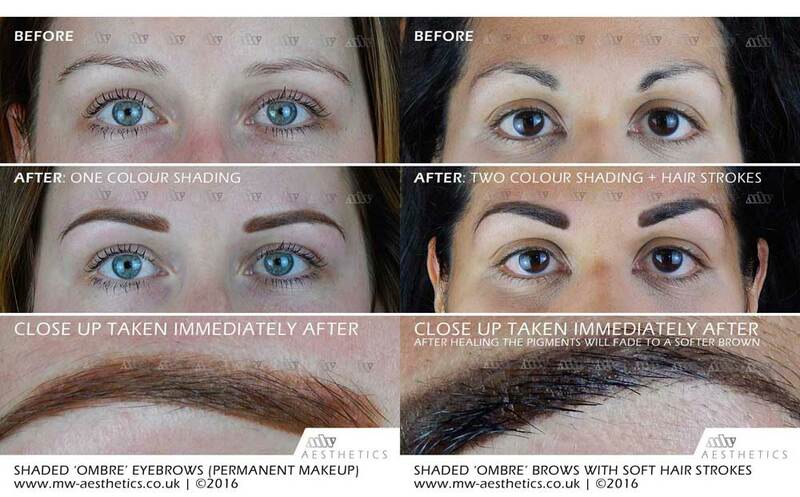 And if you’re keen on staying up with the trends, the latest fashion for ombre eyebrows can also be effectively carried out by your permanent makeup practitioner. You might be more familiar with the term ‘ombre’ in relation to a hair trend. Hollywood A-listers are sporting ombre brows more than any other makeup trend today. You think you’d notice, right? But actually, unless you’re specifically looking for the signs, it’s very hard to notice. Before you start panicking that to be ‘on fleek’ you need to have two toned eyebrows, let us put your mind at rest. Ombre brows are much subtler than the similar technique for hair was, and it’s all about blending and shading to create a beautiful, natural look. The word ‘ombre’ comes from the French word which means ‘shaded’. It uses a lighter colour at the inside of the brows, darkening to a bolder colour as you move through the arch. The finished brow has a very natural, powdery look to them, and are diffuse and soft around the edges. It’s a great way to add definition and depth to otherwise wishy-washy brows. Up until recently, ombre eyebrows tended to be the reserve of the real make up brigade. Using several products at once, including a light and dark brow pencil, powder and brow gel, some ladies have managed to get very beautiful ombre brows perfected. But it takes time, skill and patience to get the look right, and who’s got time for that? 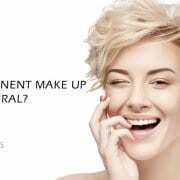 Consultation: We talk to you about your stylistic preferences, how thick, dark and arched you like your brows, and will come up with a style and tone to suit your needs. Application: We use a special tool and safe, hypoallergenic pigments, to apply colour to the upper layer of the dermis, creating warm, vibrant colour and a natural finish. Touch up: We’ll ask you to pop back for a second appointment to see how the colour has bedded in, and whether you need a touch up in any area. 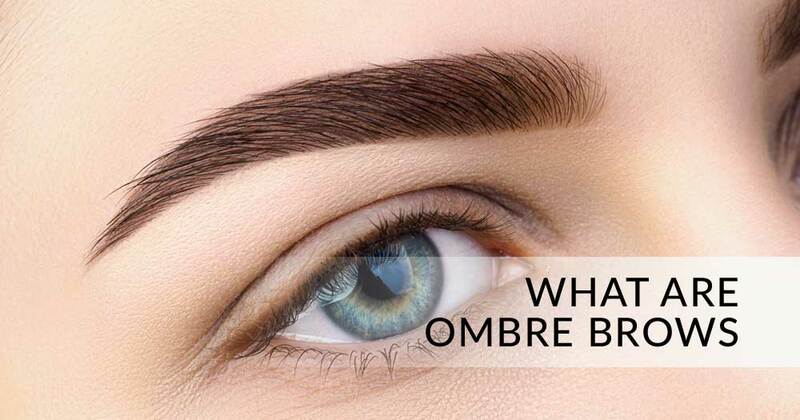 Enjoy: Our ombre permanent eyebrows are designed to last up to 16 months. Some clients find they last longer, but others will usually come back for a recolour after around a year or so. Ombre eyebrows are not a specific design. It’s a technique that uses different shades to improve the overall depth and definition of your eyebrows. You can still choose your look, whether you prefer sharp, well defined brows or a softer, powdery finish, it’s all up to you. We’ll offer advice on what will suit your skin tone and hair colour, but will work to your preferences to create the perfect look for you. 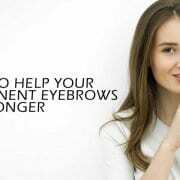 Hairstroke brows: These are essentially replicates of your natural brows, and are a great solution for over plucked eyebrows, for those who are suffering hair loss or people who just naturally have very thin, sparse hair growth. Permanent eyebrows can be created that perfectly mimic your natural brow, creating a perfect arch and very flattering shape. Using microblading, each hair stroke is applied individually, giving you a very natural looking finish, and absolutely perfect eyebrows. Ombre brows: Our ombre permanent eyebrows give off a more glamorous look. They are not as harsh as block filled brows, but give a denser coverage than a hairstroke treatment. The shading makes the look slightly softer, and the powder technique ensures there are no harsh edges. This suits clients who either want a more ‘made up’ look, or who already have good hair growth and just want a little tweak to the shape and base colour. Sometimes you just want the best of both worlds, and we can do that too! You can opt for a combo treatment, where we use the shading of the ombre treatment in conjunction with the meticulous precision of the hairstroke treatment. This will give you a brow that is both glamorous and natural. Come in for a consultation for more bespoke advice; I’m always here to help! 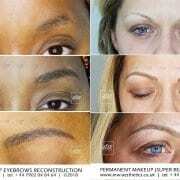 CREDIT: Before and after pictures, work by MW Aesthetics London. Pictures taken Immediately after the procedure. After the healing the colour fades to a much softer shade. The world of beauty is a fickle thing. Trends come and go, and fashions change like the wind. Yesterday’s matte lipsticks are being replaced by todays super shiny lip gloss, and that contouring you’ve been working all year to perfect just got superseded by the natural look. But don’t worry, because you won’t be left looking like a reject if trends change next year. Our permanent make up is applied to the very upper layer of the dermis only. This gives your brow and amazingly vibrant colour, as the pigment is close to the surface. However, this also means that it will fade out over time, so that in 12 – 18 months, you’ll be ready to have a top up, if you still like the style. Ombre doing it for you? Excellent; we’ll just redo the treatment you had originally. If something new has caught your eye or you fancy trying a new look, now’s the time to go for it. Or if you want to give eyebrow tattooing a miss altogether, well that’s fine too. 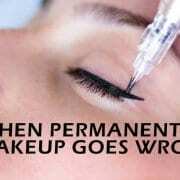 That’s the beauty of our permanent makeup treatments… nothing is forever, and there’s always room to change your mind!